Home/ About Us/ Subsidaries/Sichuan Ya Li Transportation Co., Ltd.
Sichuan Ya Li Transportation Co., Ltd.
Sichuan Ya Li Transportation Co., Ltd. (the “Company”) was established in May 2006 by Asia Cement Corporation and Ya Dong Holding Co., Ltd., both of which are subsidiaries of Far Eastern Group in Taiwan, with registered capital of US$3.5 million. 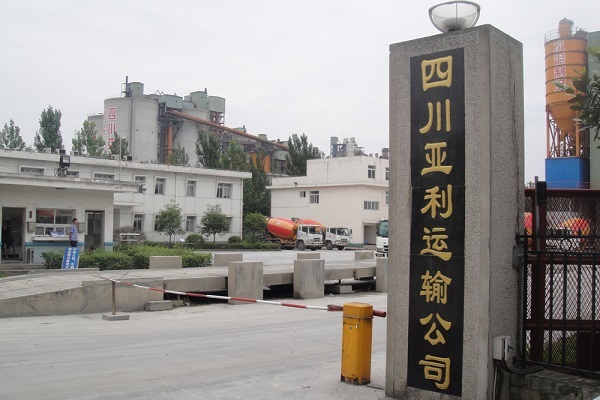 The factory is adjacent to Sichuan Yadong Cement Co., Ltd., which is convenient for transporting the final products and relevant raw materials of Sichuan Yadong Cement Co., Ltd. Each month, the Company transports approximately 130,000 tonnes of cement and related raw materials. The Company adheres to the principle of "safe driving, first-class service, and constant improvement", and continues to adjust itself in the aspect of transportation business operation and internal efficiency in response to market changes. To strengthen market competitiveness, the Company continues to work towards the three goals of operating costs reduction, administrative efficiency optimisation, and no major traffic and work accidents. The Company also strives to expand its revenue and market share in future, as well as to actively develop new source of clients and business, and to evaluate the feasibility of cross-industry cooperation.